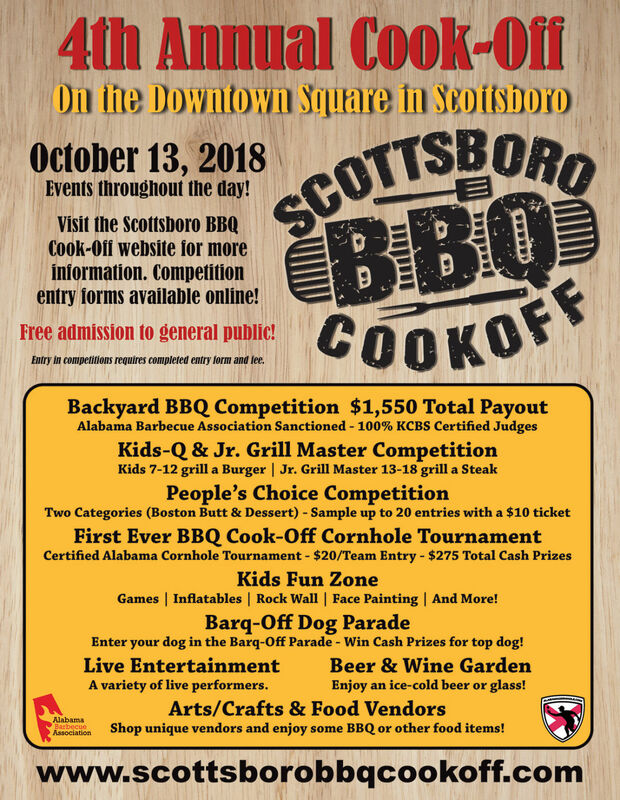 October 12, 2019 The Scottsboro BBQ Cook-Off is a Backyard BBQ Competition that uses KCBS cooking and judging rules, however, it is not a KCBS sanctioned event. There are arts and crafts and entertainment. 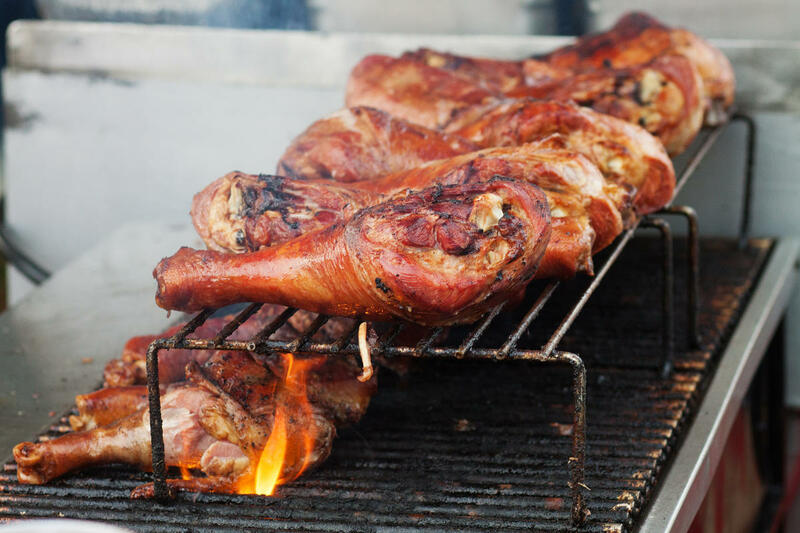 The event is held the second Saturday of October and includes two categories, Ribs and Chicken. Wood, charcoal and wood pellet grills are acceptable. All meat must be prepared and cooked on-site. 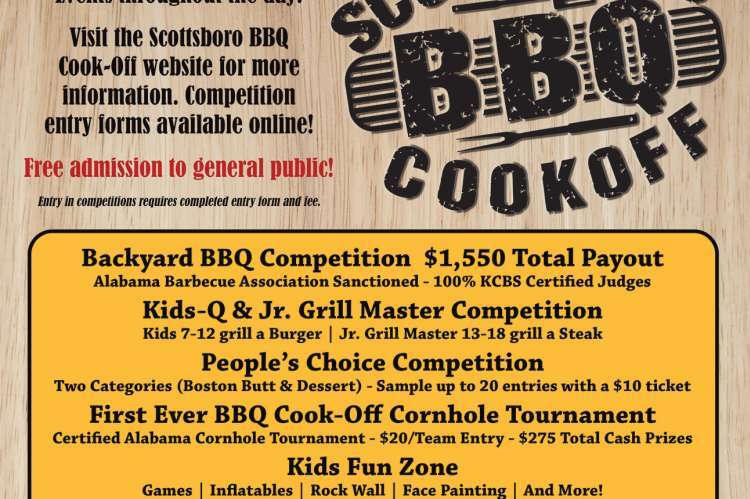 To see a complete list of Scottsboro BBQ Cook-Off rules, please contact us. Contestants will attend a mandatory meeting Saturday morning and are provided all information.